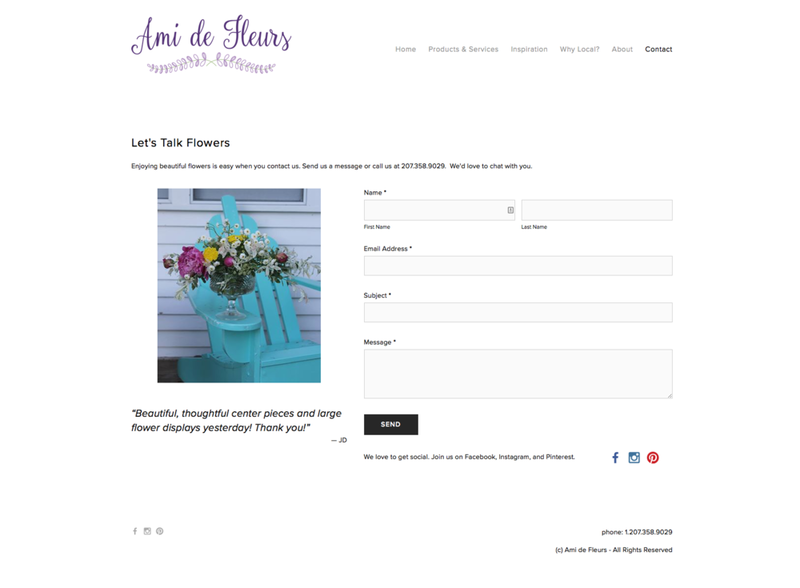 Ami de Fleurs (translated from French: Amy of the Flowers) started with a vision to bring the beauty of backyard-grown flowers to friends and family. 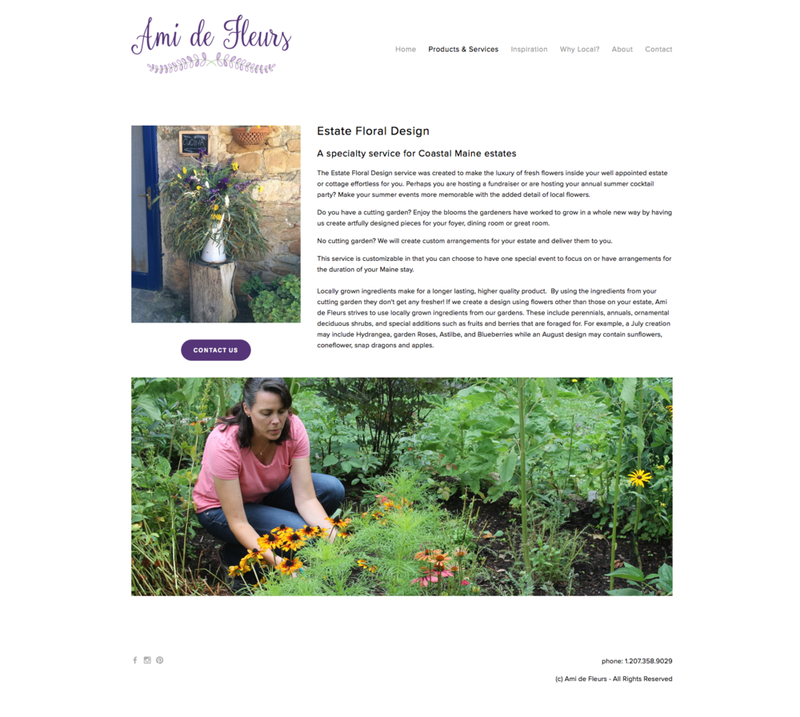 We built a Squarespace site that she could easily grow with. While Amy has since shuttered the business to explore new ventures, we continue to share this in our portfolio as it's a clever site with a simple aesthetic that we are really proud of.